Best Of The Forums - January 8th, 2006. Your Favorite Healthy Treat Foods? Eating healthy can be a real drag. Everyone comes across the time when they just want to ditch the diet and eat whatever they want. More often than not, all it takes is finding a healthy treat/snack to get your mind off of the pain that eating healthy can really be. So what is your favorite healthy treat? Now, notice I didn&apos;t say "cheat", and neither did &apos;Aussieguy101&apos;, who started the thread. Everyone has their own way of keeping sane. What&apos;s yours? Check out the thread here and share your healthy eating secrets with others. For those of you that know anything about bulking, you&apos;ll know that oats are a great source of calorie dense carbohydrates. Also, there are a lot of weight gainers out there but we know that the contents are exactly the best for gaining weight without the fat. So, how can we throw together a good weight gainer with oats? Personally, throwing oats directly into a protein shake isn&apos;t too appetizing, considering the size and texture of oats. Is there an easier way to make an oat-based weight gainer without having to swallow whole oats? Ladies and gentlemen, there is a way. Check out this thread, started by &apos;afcop&apos; and find out how. 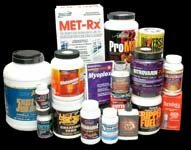 This week&apos;s random thread is a personal list of favorite supplements. Each person has their own list of most effective and useful supplements that they swear by. There really is not much more to this week&apos;s random thread. I&apos;d just like to make sure that everyone, including you, puts up their own list of 5-10 supplements that you just couldn&apos;t live without. Click Image To Visit Our Store. A big thanks to &apos;Pure-Natural&apos; for starting this thread. As you may or may not know, Controlled Labs is introducing a new cell volumizing product called &apos;GlycerGrow&apos;. There are, however, some things about the new product that not everyone is agreeing on. A certain member, &apos;rockingym&apos;, claims that the key ingredient in GlycerGrow is a sham and does not do what Controlled Labs claims it does. An Advanced Stand-Alone Cell Volumization Breakthrough! To Learn The Theory On Glycerol Monostearate, Click Here. &apos;Rockingym&apos; says that he is an MIT student studying nutrition and started off the argument in this thread. Check out that thread and you can be the judge. What Do You Do To Relax After A Hard Day? Bodybuilding is a lot of work but the results are more than worth the effort put in. It&apos;s great to relax, though, after a day at the office, followed by more running around town doing whatever it is that you do. What&apos;s your favorite way to unwind after a long day? Lounge on the couch? Take a nap? Go for a swim in the pool? This thread was started by &apos;BodyofSomething&apos; and can be located here. Check it out and let others know what your secrets are to unwind. This week&apos;s funny thread is a thread that has been found on pretty much every forum on the internet. Word association threads are always a lot of fun and usually end up being pretty intense. For anyone that has ever taken part in one of these knows exactly what I&apos;m talking about. So, whether or not you have ever played this game, go to the thread here and have some fun. Thank you, &apos;spincy&apos;, for this one. 2. type into the box "Angelina Jolie&apos;s mom is nice and cool"
3. translate "english to spanish"
4. copy and paste the results into translate box and translate it to "spanish to english"